I'm switching image hosts (yeah, gonna have to go back and correct all my pic links! ). Before I do so, can you all check to see if the image below enlarges correctly when you click on it? (Depending on your set-up, it should appear in same window, a new window, or a new tab. Beyond clicking, you should not have to do anything. If you have problems, please post the problem below. Thanks! OK, I edited my OP to load a different version. My servimg setting was at the default of 800pix instead of no reduction. You should get a pretty big pic, but unfortunately since I had to reduce it 50% to get it under 2MB, the resolution leaves something to be desired. After you enlarge the pic, and if you click again to use the magnifier feature, you can use Ctrl- and Ctrl+ key combinations to reduce/enlarge the pic to optimize the resolution viewing. Thanks, JanetC! I just wish there wasn't the 2MB limit on servimg. Then you would get a nice big photo at twice the resolution -- no blurs and pixelations. You can actually change your vote by clicking on your old vote and putting in a new vote. I had originally temporarily locked the thread as I uploaded a new file with the non-resize setting. That may have caused your initial problem. Thanks for working through that! khj, it works and when you enlarge it further, you really get an enlarged image. Now I'm wondering if it's TOO large. I reduced it by 50%, so it cut down on the sharpness quite a bit. So I'm relying on people using screen reduction if they want a slightly smaller but "sharper" pic. Maybe I should try and upload the same thing at 33% and see if it might be better. Well it looks like the enlarged+magnified 25% and 33% look clean of artifacts, but a lot of fine line detail is lost (looks like heavily smoothed). The 50% has a lot more detail, but also a lot more artifacts are introduced, especially near the perf edges and lettering edges. The 100%, which is too large for servimg, is really much much better. I'll probably stick with the 50% for full sized album pages for now despite the image artifacts, unless members feel the 33% is preferable. Thanks for letting me know, Craig. I'm going to assume that's a Servimg website coding issue. Is the pic in the post not "clickable" at all for you? If not, do you get a blue message at the top of the pic in the OP that says "This image has been reduced by 23.6%. Click to view full size."? khj , I tap the pic and nothing happens. No message appears, either. With my Firefox I need to right-click, then go to "view image" which gives an image that expands on clicking. I see all three images, all the same size on my screen and all of them doesnt do anything when I click on them. If I do like Butterflies and right click on the image and open it up in another tab, I can see an enlarge image. 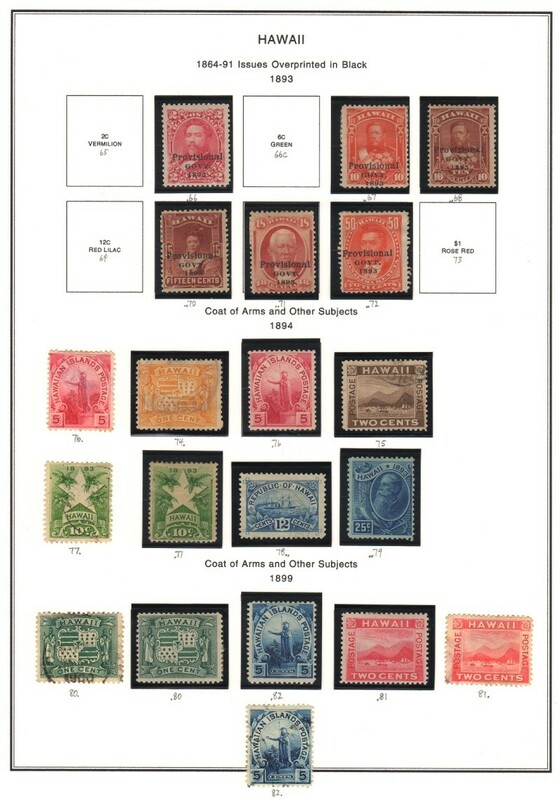 The first image is the best, because with the enlarged image, the stamps are about the size of your hand. Thanks for playing around with it. Yes, this will depend on how you set your system to respond to clicking the right/left/scroll buttons, and also how you set your FF to open upon a click. If no "reduced" message appears, then you likely will not have the option to enlarge. This will be a Servimg issue. Just for fun, did you try double-tapping? Im not using FF (French Fries) but using Google Chrome. Yes, the "click" settings are for your system, so it affects all browsers by default. Yep, sure did. Triple and quadruple too!